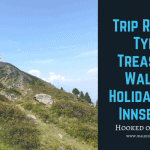 This is a fabulous bike and hike holiday in Austria. This multi-activity vacation has a combination of some days cycling and some days walking. What could be more enjoyable than biking on the shore paths of the Salzkammergut great lakes and to let your soul ‘flow’ into a wonderfully unspoilt countryside? A tour through the Salzkammergut shows you the World Heritage site of Hallstatt, the Emperor city of Bad Ischl and wonderful blue and green lakes. Your self-guided walking tours lead you up small climbs to get a different view compared to your cycling, everything will look a little bit different at a higher altitude. Take your time to enjoy and visit the famous sights as the Hallstatt salt mine, the Dachstein ice cave or the emperor’s villa at Bad Ischl. This is one of the most beautiful regions in Austria, and one that you should not miss. If you are looking for both cycling and walking while away on holiday, then this is the perfect multi-activity holiday for you! Day 2 Walking Abersee/St. Wolfgang – Lake Schwarzensee – Strobl – Abersee/St. Wolfgang. First, you take a ferry to St. Wolfgang. Then you walk along the Sattel (saddle) walk to lake Schwarzensee hidden in the hills, where Madame Lore of the lake hut waits to treat you with local specialities. Then you walk down to the valley by a gorge and round to Bürglstein and onto the lake promenade in Strobl. Afterwards, you will follow the nice lakeside walking trail back to the peninsula of Abersee (or take the boat). Distance: 9.7 miles 15.5 km, 4.5 hours, 354m up/down. Day 3 Cycling Abersee/St. Wolfgang – Lake Mondsee – Lake Attersee – Attergau. Today you will cycle beside Lake Wolfgangsee to the Mozart village of St. Gilgen. Afterwards, you will cross over the lake to Lake Mondsee where you can visit the wedding church used in the movie The Sound of Music. After your visit to the chapel, cycle beside Lake Mondsee (moon lake) towards the largest lake in the Lake District, Lake Attersee. Distance: 25-35 miles, 40 -55km. Day 4 Cycling Attergau – Lake Attersee – Lake Traunsee – cycle or train to Bad Ischl. The ride today is a little more undulating. You will cycle pass tiny villages and many farmhouses on your tour to Lake Traunsee. Enjoy the lovely lakeside city of Gmunden with the water castle. Afterwards, follow the cycle trail beside the lake until Ebensee where you can take the train to Bad Ischl. If you like you may take the boat from Gmunden to Ebensee. Today a nice walk along the brine pipeline trail to the salt mountain in Altaussee. You will follow the mountain road deep into the Rettenbach valley and afterwards you will walk over alpine pastures to Altaussee. Then you take the bus to Bad Aussee. Distance: 11.3 miles, 18km, 5.5 hours, 450/200m up/down. Distance: 18.7-26.2 miles, 30 -42 km. Discover the world heritage site of mount Krippenstein with its famous ice cave and wonderful alpine walking trails on the plateau above. Depending on your fitness you may choose between an easy round-trip tour of 3 hours or a walk up to 5 hours duration. In the background the view of the glacier Mount Dachstein. Overnight Hallstatt. Distance: 3-9.3 miles, 5-15 km, 3-8 hours to walk, 250/250m – 1500/1500m up/down. With the ferry, you will cross Lake Hallstatt and follow the cycle trail along the lake to Bad Goisern. Following the brine pipeline trail, you will cycle to Bad Ischl where you take the former Roman Road to Lake Wolfgangsee. Enjoy the last section along the lake with wonderful views to St. Wolfgang and the mountain. Overnight Lake Wolfgangsee. You will follow mainly signed trails with some short climbs involved. Some of the days can be shortened by using public transport. By plane to Salzburg and then a bus to the tour start. We can fix a private transfer from Salzburg to first hotel. Alternatively you can fly into Munich or Vienna and take the train to the tour start.